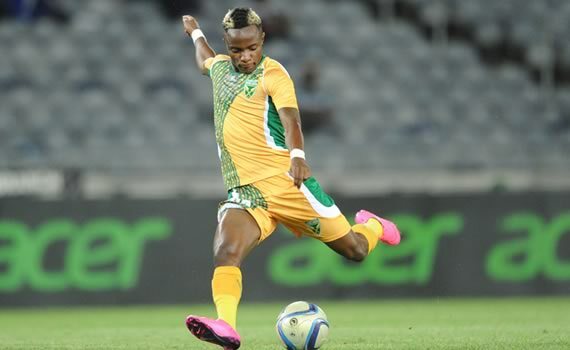 Kudakwashe Mahachi says he warned Mamelodi Sundowns about Chicken Inn and believes if they don’t concentrate they can lose the second leg of their CAF Champions League tie. Mahachi who himself has played for both teams has tipped Sundowns to come up stronger and win the return league. Mahachi spoke to KickOff.com ahead of his side Golden Arrows match up with Sundowns. Sundowns were last weekend silenced by the Zimbabwean Champions Chicken Inn ending their long 19 match unbeaten run. “I think Chicken Inn did well and Sundowns were on song and everyone was expecting Sundowns to win the game … so it was a surprising thing to see Chicken Inn beating Sundowns,” Mahachi told KickOff.com. “But it’s football and if they work hard Chicken Inn can win, but I think Sundowns will win the second leg because it will be difficult because they will put everything into that game.” he added. Mahachi’s exploits at Chicken Inn earned him a high profile switch to Sundowns 2 seasons ago. He however failed to replicate the same form at Sundowns and was offloaded from the star studded Sundowns side. He then signed for Golden Arrows where he is playing regularly. At Golden arrows Mahachi has struck a huge vein of form. Arrows will this week play Sundowns and Mahachi says he will not be under pressure but will play his usual game. NextManchester United lost 2-1 against Midtjylland of Denmark.